Consider these your "smart khakis". 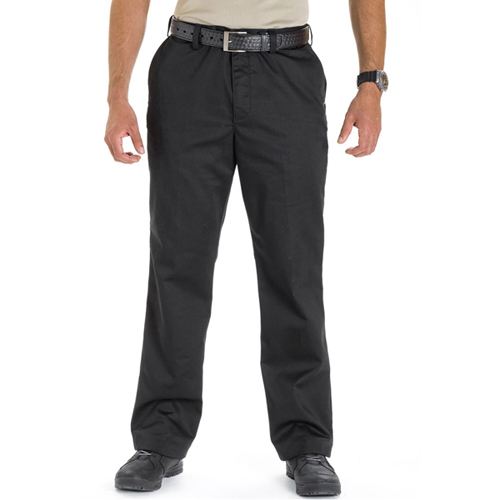 Covert Khakis 2.0 present a clean, creased front for office work, court day, or plainclothes duty. Made from polyester/ cotton twill, featuring a self-adjusting waistband, hidden side-seam pockets, seat pockets, a Teflon finish, and a permanent crease, you'll look sharp, feel comfortable, and be ready for anything - a wedding, a round of golf, a night on the town, desk duty. Anything. 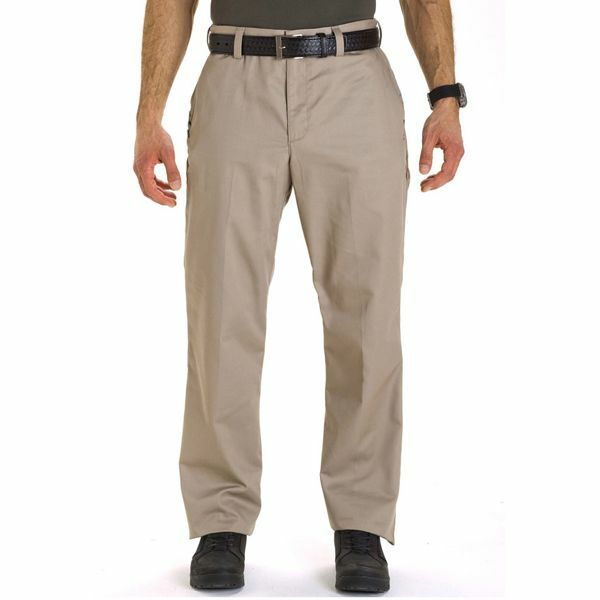 Regular khakis don't do that for you. Regular khakis don't do anything for anybody.